Imagine the scene…. You’ve trained and qualified and are working with a client in your lovely fancy therapy room, the lights are dimmed, the chair is fully reclined, your client has a lovely crochet blanket draped across them, you pop on the whale music and yes, it’s time to affect your best “Hush FM DJ” voice, a sort of whispering-Barry-White-on-dope type of impression, and you punctuate every sentence of your lengthy scenic descriptive deepened with those immortal words “deeper and deeper”…… The client starts to softly snore, completely unaware any longer that they are supposed to be in a hypnotherapy session, to the point where you could be saying anything at all to them…. You emerge them at the end of the session, they rub their eyes the same way they would if they had just had a short nap (ironic?) and they utter those words that no hypnotherapist ever wants to hear and never should hear…. Maybe you have heard it said by other hypnotherapist’s clients? I hear this a great deal from clients that went to see other hypnotherapists before coming to see me. Following our rapid inductions and hypnotic phenomena seminar, your clients will never utter these words. They will leave your office undeniably convinced that they were hypnotised. They’ll explain to friends, family and colleagues how impressive their experience was, and your reputation, referred business levels and credibility will all rise together. Let’s dispense with the reclining chair. Let’s dispense with the crochet blanket. Let’s dispense with the whale music. Let’s dispense with the affected Hush FM DJ impressions. Let’s dispense with repeatedly saying “deeper and deeper” in monotone. Let’s dispense with the clichéd, outdated caricature of how hypnotherapists behave, and let’s get skilled up! Quality hypnosis that creates wonderful responsiveness needs none of these above things. The rapid inductions and hypnotic phenomena seminar that I run here is back, we have new dates for it and I cannot wait to open our doors for this event again. This seminar shows you how to induce hypnosis in a wide number of effective ways, and how to elicit a wide range of hypnotic phenomena and effects that will blow the minds of your clients in your hypnotherapy consulting rooms – it will add kudos, credibility and stimulation to every session you ever conduct with your clients. The combination of influences that combine and underpin this seminar is an interesting one. I have a clinical hypnotherapy background dating back to the late 1990s. I favour evidence based approaches and am a stickler for the rationale behind the processes involved in hypnosis. I am an academic researcher and University lecturer as well as running this college. My work is also influenced by entertainers, acclaimed close-up magicians and professional pick pockets whose performance skills make natural adjuncts to inducing hypnosis with verve and confidence. I want you to have a stimulating contrast of styles and methods so that you gain greater insight and learn more. 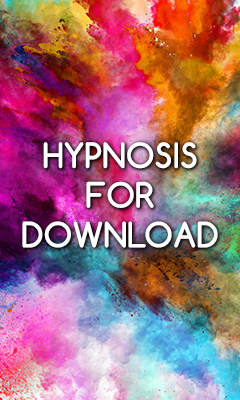 I want to show you how you can see varying means of inducing hypnosis and that having a depth of varying skills can make you a better hypnotherapist. Within this seminar, I demonstrate a large number of inductions that add to any hypnotherapist’s repertoire. I also offer you up the underlying important principles that guide how we induce hypnosis. That is, you get the theory of how and why these processes are effective so that the depth of understanding you have means you do not just have to regurgitate what you see being done in class, you will have the confidence to apply it all your own way and know it is still going to have the same effectiveness. In addition, I will offer up a range of advanced techniques and strategies for inducing hypnosis and will critique much of what I do — showing you what is happening and how the approaches vary. I’ll then also offer up my favourite ways of eliciting hypnotic phenomena, creating fabulous effects and helping to enhance the client’s belief in you and their own ability. Though primarily aimed at helping in therapy, this is the kind of hypnotic phenomena that can also be used to demonstrate your skills in most of life’s situations and circumstances. It’ll showcase your skill. I enjoy laughter in class. It is the best way to ensure a stimulating environment to learn effectively. So while we are very serious about the level of education you get here, it’ll be fun and enjoyable – consider it the spoonful of sugar….. This training college encourages a fun, supportive training environment. Everyone who attends this seminar will also get a comprehensive manual describing all the techniques demonstrated on the day as part of the seminar fee. Every one of these seminars we have run this year and that is planned for later this year has sold out and been full to capacity. I now have 2018 dates, so go and grab a prospectus or send me an email for further information. What’s more, this seminar has an investment fee of less than £100.00 (£97.00 to be precise) and is accredited CPD with the major hypnotherapy associations. I wrote in the title for this article and update a rather grand thing…. “The Stuff of Legend!” – I wrote that because of the experiences I have had with hypnotherapists on this seminar throughout the past decade. I still have people remind me of amazing results they had on the day and that have transferred into their therapy rooms, how much benefit their clients derive from the skills they learned here. I am biased, but I believe that when you start to adopt and apply the skills from this seminar, you have the opportunity to become the stuff of legend if you want to.